To everyone who supported the Empty Bowl event, we thank you for raising $45,000 to support survivors of domestic violence and their children. We thank the potters, cooks, musicians, volunteers, ticket buyers, sponsors, and prize donors for the great evening and great support. Catch a glimpse of the bowl fest in a time lapse short film by Ted Schubel. New radio show from March 8, 2019: Listen to Empowerhouse Services Director, Mendy Pierce, and Executive Director, Kathy Anderson, discuss with Ted Schubel on Town Talk- The Teen Young Men’s Program and the importance of education and trauma-informed services for children and youth in our community. Listen to: Empowerhouse Executive Director and Kenny Ellinger, Surgi-Center, discuss with Ted Schubel on Town Talk — domestic violence awareness month and the need for increased efforts to serve children and youth in our area. 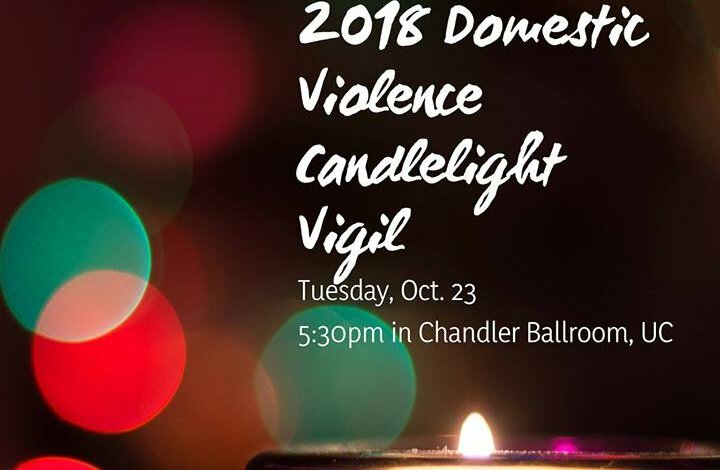 Candlelight Vigil 2018, October 23, 5:30 PM, University of Mary Washington, 1301 College Ave. Fredericksburg, VA 22401. Parking at the University parking garage. For more information, registration, and sponsorships, please click here. Survivor of Domestic Abuse Now Helping Others. See the news item on NBC4 Washington. Thanks to the generosity of our community, the new domestic violence shelter is complete! The Empowerhouse office has moved! Our new location is 150 Olde Greenwich Drive, Suite 101, Fredericksburg, VA 22408. 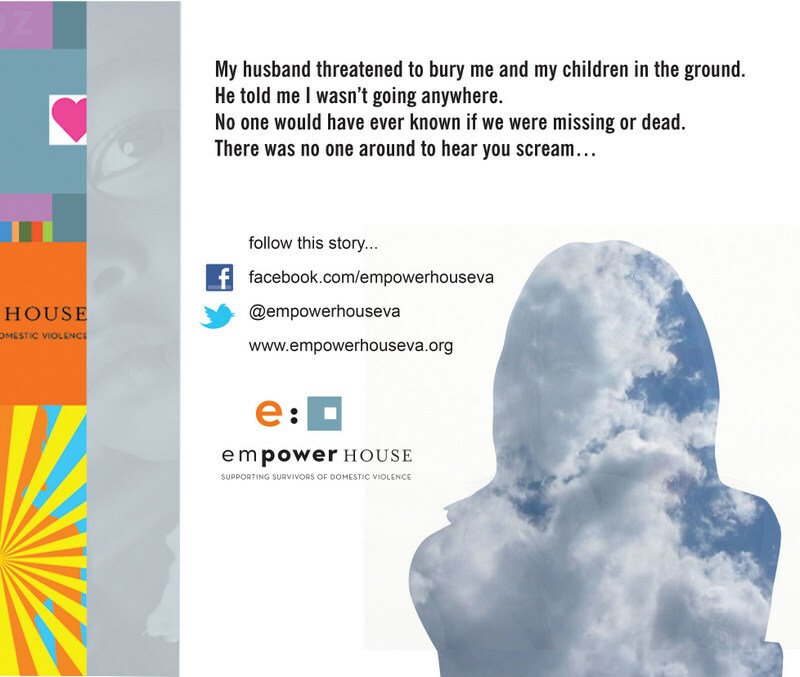 Every day, Empowerhouse- supporting survivors of domestic violence- provides free help to adults and their children. As an accredited domestic violence center, we do not charge for services. Thanks to the donations from our community, we are able to continue providing free services to anyone who needs them. In 2014, Empowerhouse assisted over 2,800 adults and children in our community. In 2017, we assisted over 3,500. Thanks to The Community Give -2015, and the help of Doris Buffett and the Sunshine Lady Foundation, we began renovation of our new 10,000 foot building to expand, relocate and offer accessibility to all local survivors of domestic violence and their children who need shelter. The new 24-hour domestic violence shelter opened in 2016, thanks to lead donors and all who assisted through The Community Give. We continued the campaign to furnish the new 15 bedroom facility with suites, multi-kitchen areas, laundry, job help center, playrooms, and counseling corner through the 100 Men campaign. 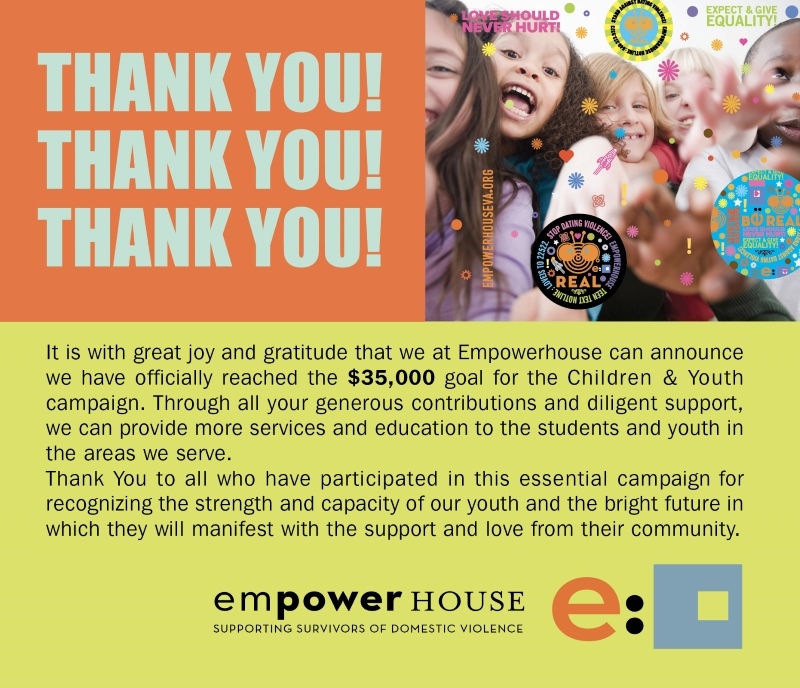 Together, we are fulfilling the Empowerhouse mission to empower survivors of domestic violence and their children to believe in themselves and build new lives filled with dignity, respect, safety, and hope. Each day we meet survivors of domestic violence who take steps to be safer and eliminate violence in their lives and the lives of their children. They are taking these steps despite great risk to their personal safety. They are encouraged when they enter our facilities and realize you have prepared for their arrival. Most are surprised that we are there; many have great humility and question whether someone else may be in greater need than they are; many are embarrassed and strive to overcome their fear of speaking about what is going on in their lives (and the fear of continued and real threats of violence). All are grateful for the hand up once engaged in the support you make possible. You are making our vision a reality in Stafford, King George, Caroline, Spotsylvania, and Fredericksburg: creating a diverse network of community members working together to promote safe relationships, homes, and communities. Thank you for giving! Thank you for making things better with the power of your financial gift! Please click and watch our 40-second video above. Healthcare providers have a unique opportunity to screen for Intimate Partner Violence. 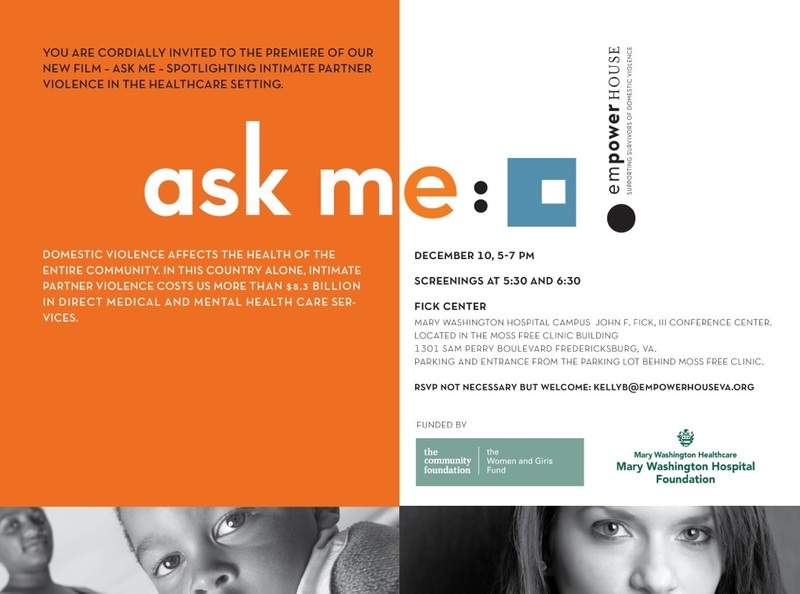 The film “Ask Me” demonstrates the importance of Universal Screening which has been proven to be effective and save lives. Watch the film now on Youtube: “Ask Me”. with a second transition house! Empowerhouse owns a new house thanks to the Sunshine Lady Foundation. 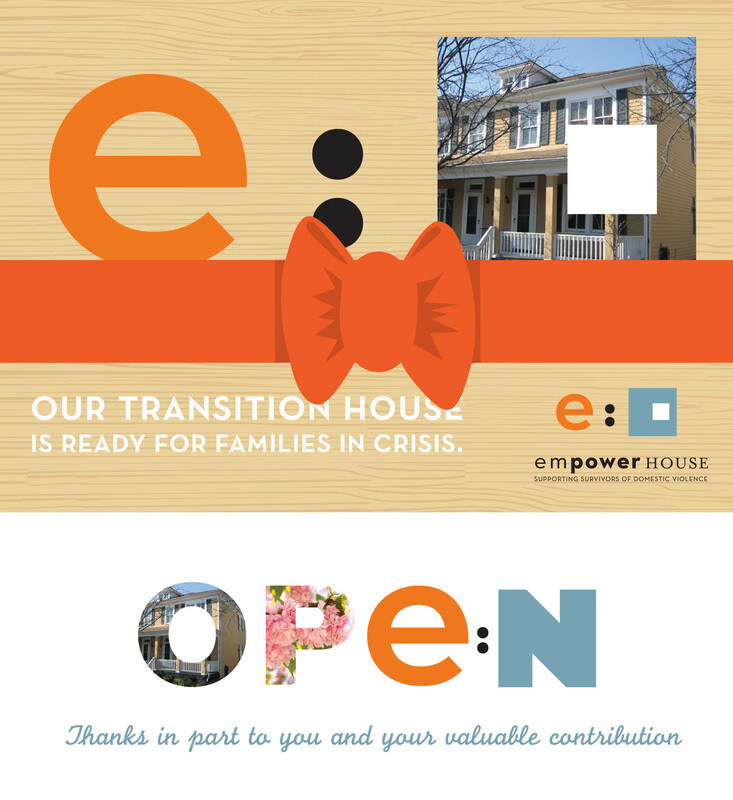 As of April 25, 2013, due in large part to many generous donations, the new Empowerhouse Transition House is now open and serving families. Call and talk with Kathy if you are able to provide a financial contribution to help keep the house running or use our Donate button on the right margin. 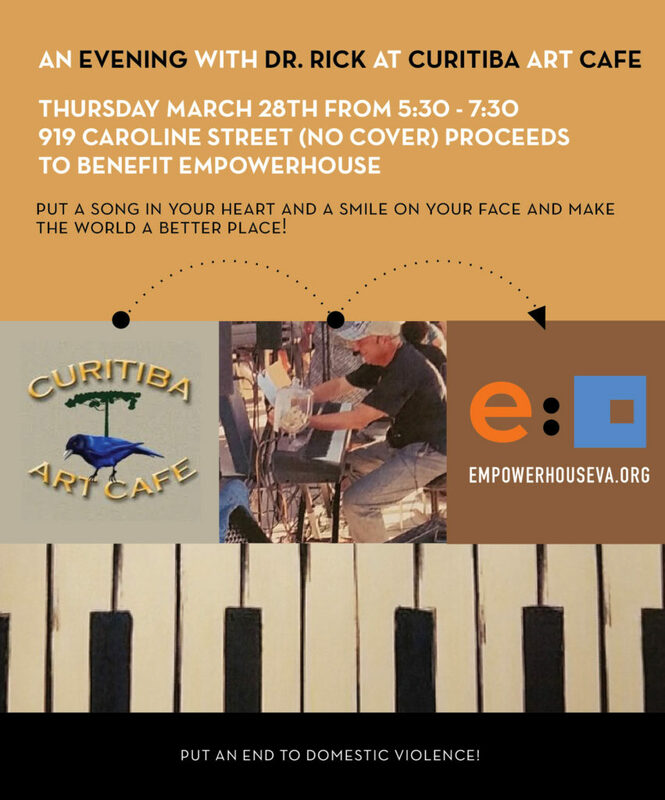 Rappahannock Council on Domestic Violence has changed its name to Empowerhouse, Supporting Survivors of Domestic Violence. We are celebrating this effort to help survivors move beyond victimization to healing and empowerment. Telling Amy’s Story: Learn more about the devastating impact of domestic violence through the recently released documentary, Telling Amy’s Story.